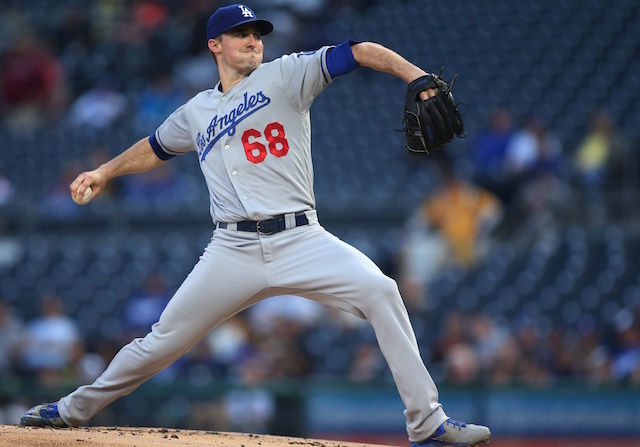 With Opening Day just around the corner, the Los Angeles Dodgers’ starting rotation is beginning to take form despite all the question marks that have been present throughout camp. The organization’s top two pitchers, Clayton Kershaw and Walker Buehler, both dealt with some arm issues this spring, although they are both now healthy. The problem is that with not much time until Opening Day, neither will be able to get built up enough to start the first game of the season. Buehler is a bit ahead of Kershaw as he is scheduled to make his 2019 Cactus League debut on Tuesday against the Cleveland Indians. Meanwhile, Kershaw is scheduled to face hitters on Wednesday for the first time since being shut down last month due to inflammation. It is looking like Buehler will be able to get built up to four or five innings by the start of the season and won’t require a stint on the injured list. For Kershaw, that is looking less likely. Stripling allowed five hits and two runs while striking out four and walking one in 4.2 innings against the Texas Rangers on Monday night to continue his strong spring. Going back and forth between the starting rotation and bullpen is something that Stripling has become very familiar with in recent years, and it seems that he is headed for that role again in 2019. Having starting pitching depth as solid as Stripling and Julio Urias is a luxury that not many teams in baseball have. It enables the Dodgers to take things slowly with Kershaw and any other pitcher that is dealing with an injury to ensure they are 100 percent healthy before returning, which is huge for a team that has hopes of playing through October once again.